Deploying a digital-first banking platform is not only now possible but mandatory for financial institutions of all sizes. 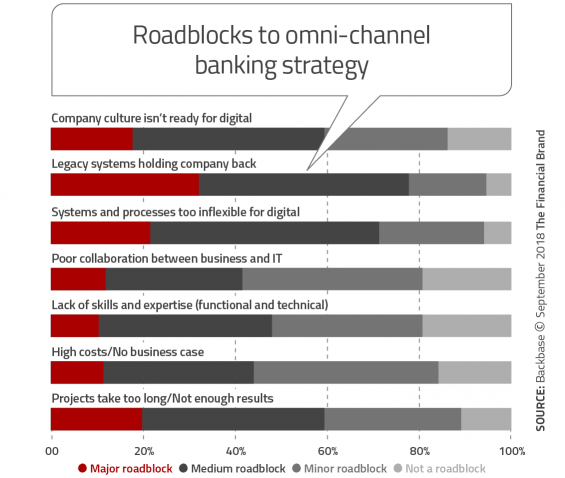 To compete effectively in the future, every bank and credit union must understand the four facets of a digital platform strategy — omnichannel capability, modular structure, open API architecture, and smart technologies. 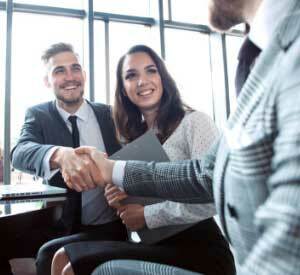 Consumers used to shop around, traveling from branch to branch, evaluating the products offered, service pricing and friendliness of the bank or credit union staff. Today, that shopping usually occurs online or on a mobile device, with financial partner decisions made based on website or mobile banking app design, social media recommendations and even Google search rankings. The impact of distance from a branch is being replaced by the experience of the digital banking engagement. Never before has it been more important for financial services institutions to reinvent themselves and go beyond a digital transformation to achieving a business transformation. Banks and credit unions that build a digital-first banking platform will enable themselves to serve consumers better and reap the rewards of cost reductions and revenue increases. This is the best defense against attrition caused by big tech and fintech competitors. By moving towards a more integrated digital-first banking platform, organizations will be able to leverage data and advanced analytics to provide optimized customer journeys that extend across all physical and digital channels. These capabilities are not solely available to the largest financial organizations any more. They are the foundation required for banks and credit unions of all sizes that want to survive the changes occurring in banking today. With a digital-first foundation, financial insight and personalized advice are available in real-time. Most importantly, this insight is not just available internally, but is distributed to the consumer instantly, building trust and satisfaction. The customer or member realizes that you know them, are looking out for them, and are going to reward them with enhanced value propositions. With a digital-first platform in place, a bank or credit union can react to market changes that are important to any single consumer. By understanding the financial objectives and behavior of a consumer, marketing becomes a process of providing solutions as opposed to selling products. Consumers are seeking ways to save time and money in every part of their lives. They will switch providers for those that provide the best experiences. In a marketplace where there are only modest differences in price, product features or benefits, the consumer wants the ability to multi-task and engage with their favorite retailer, airline, technology provider or financial institution at any time, on any device, with ease. 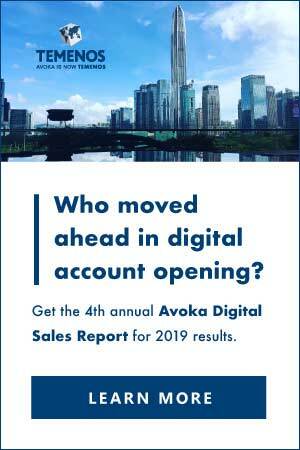 For the most part, the financial services industry has been slow to react to the consumer desire to move from physical stores to digital devices. While digital options are available at most banks and credit unions, there are significant gaps in the ability to receive real-time, personalized experiences that consumers receive from the likes of Amazon, Google, Facebook and many other providers. 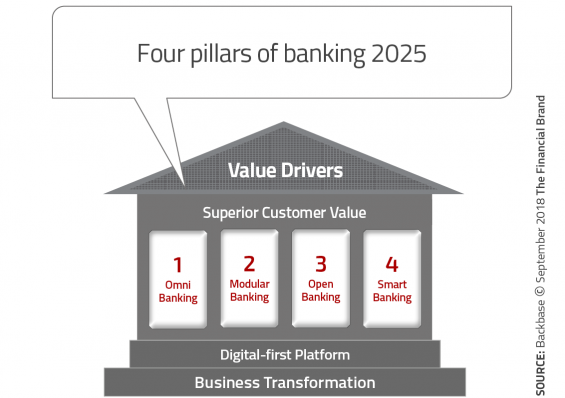 To be best positioned for the digital future, Backbase has outlined 4 pillars to success in their white paper, Banking 2025: Four Pillars of the Digital-First Bank. Omnichannel Banking. The streamlining and integration of channels to ensure a positive and seamless customer journey across all potential touchpoints. Modular Banking. A systems architecture that has interchangeable components that can react to market and institutional changes quickly. Open Banking. The ability to use open APIs to connect internal and external capabilities, building experiences that may extend beyond banking services. 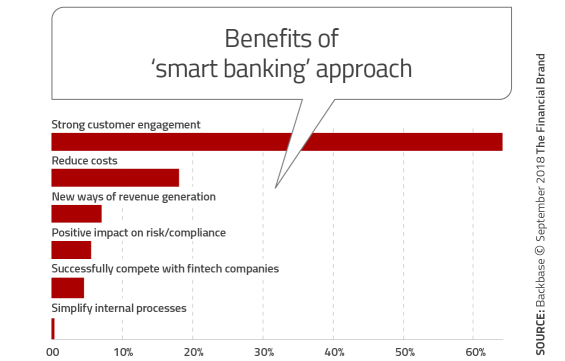 Smart Banking. The use of advanced analytics to leverage data for personalized engagement and experiences. The key to receiving the benefits of these pillars is to move away from legacy operating systems and processes, changing the way things are done as well as the way products and services are delivered. This goes far beyond a digital app or new mobile design. It is the reworking of every back-office process to optimize it for digital delivery. The concept of “omnichannel”, “multichannel” and “optichannel” have been discussed <em>ad nauseam</em> for more than a decade, with few understanding the concept — and even fewer moving beyond internal silos to provide a seamless experience across channels. 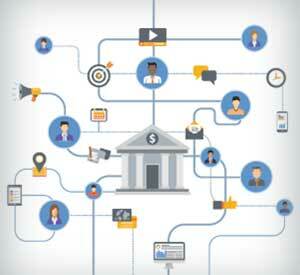 The duplication of workflows and content is costly to financial institutions and frustrating to consumers who want their banking relationship to follow them without interruption on all channels. A great example given by Backbase is Google, where the solution looks and feels the same across all channels. The benefit is that the consumer relationship is at the center of the experience as opposed to specific channels. At the end of the day, financial institutions should be able to provide an easy journey, no matter which channel(s) the consumer uses. 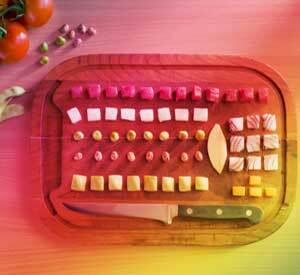 People are different … the experience a consumer receives when using different channels shouldn’t be. Building for a digital-first future on an outdated legacy operating system will lead to duplication of efforts and massive inefficiencies. Technology-based big tech and fintech firms use modular systems that allow for customization of offerings and deployment. This increases agility of solutions, allowing organizations to respond quickly to the consumer expectations. The goal is to be able to introduce new products, features and functionalities, quickly and with close to zero marginal cost. These modules must be agile enough to exceed customer expectations while not causing undue internal disruption or cost implications. This allows for increased innovation and provides the potential for proactive development on behalf of the consumer. The concept of open banking is changing the way financial services are being developed and deployed in Europe and other places in the world, with the implementation of open banking concepts expected to expand quickly across the globe. More than providing the foundation for offering financial services from outside firms, open banking will change the entire banking ecosystem to include non-financial solutions as well. Similar to the mash-up of services offered by aggregators like Uber, that integrates with payments, restaurants, hospitality firms and delivery solutions, banks and credit unions will also offer services beyond traditional banking … seamlessly. Consumers know that organizations have the ability to deliver highly personalized experiences. Firms like Amazon, Google, Uber, Facebook and many others have done the education of expectations. 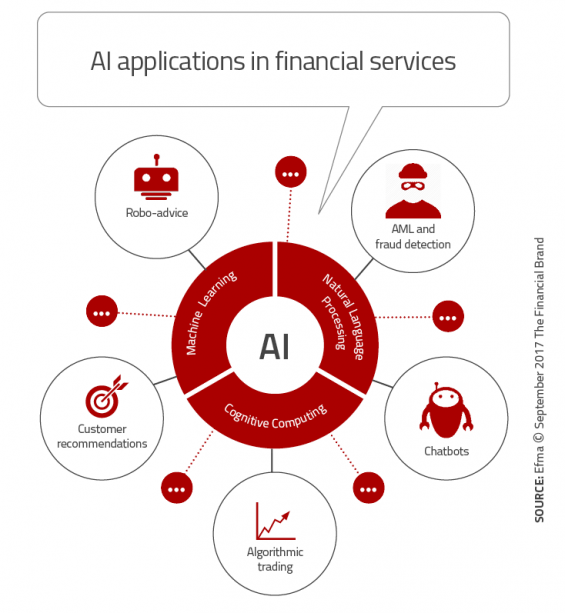 For banks and credit unions, the ability to leverage data and advanced analytics to deliver personalized solutions will be the primary differentiator in the future. “Smart technologies can automate the process, making segments-of-one possible on a large scale,” according to the report. “Automated behavior tracking provides valuable insights into a customer’s needs, enabling banks to offer relevant advice and offers.” The power of this capability is that targeting and communication can be done instantly based on transactions or changes in a consumer behavior. The value of the hyper-personalization received by the consumer will dictate the personal information they will share. Banks and credit unions used to be able to assume the role of a “fast follower,” allowing larger organizations to take the lead in innovation and transformation … learning from the mistakes of others. This is no longer a viable strategy. The primary reason a “fast follower” strategy is no longer acceptable is because consumers’ expectations are already far ahead of traditional players’ thinking. Consumers receive recommendations on Amazon for purchases they need based on previous behavior. Consumers receive search results that have pinpoint accuracy because of the intelligence built over time by Google. Consumers can grab a ride in a big city in record time with Uber and can have payments processed without showing a plastic card or using cash. Today’s consumer expects to be able to conduct business with end-to-end engagement tools that can complete a purchase on one device … or across several devices … at a time and place they desire. They expect their partner organizations to know them, look out for them, and reward them. They also expect product and solution recommendations in real-time, that are personalized specifically for them. The good news is that organizations of all sizes can build the digital platform required to respond to consumer expectations. Instead of a massive investment that is beyond the financial wherewithal of smaller institutions and a time investment of years, solutions exist that can be implemented in stages. This is important, because sitting on the sidelines is not a winning strategy. 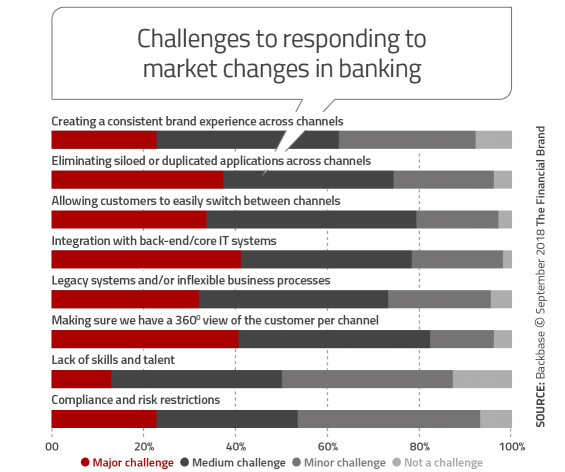 Consumers are already selecting financial institution partners based on their digital banking capabilities. Word of mouth around exciting “surprise and delight” experiences is providing the fuel for consumers to switch providers. Most importantly, big tech and fintech providers are providing cause for concern. The time to future-proof your bank or credit union is now. This article was originally published on September 24, 2018 . All content © 2019 by The Financial Brand and may not be reproduced by any means without permission.